Breakin' Convention 2017, Curve Theatre. In it's 13th year, Breakin' Convention continues to represent the origins and evolution of hip hop culture. The celebration of talent not only comes across the globe but from the streets of the UK and even just locally, giving the opportunity to celebrate an iconic dance style and energy like no other. There is also a ethos on everything that is celebrated surrounding the dance style, through live performances from singers/rappers and you can also see an independent artist creating a graffiti styled art piece, therefore immersing the entire space into a true world of the hip hop culture. Being able to see some of this variety before, during the interval and after the show is really accessible for people to enjoy. 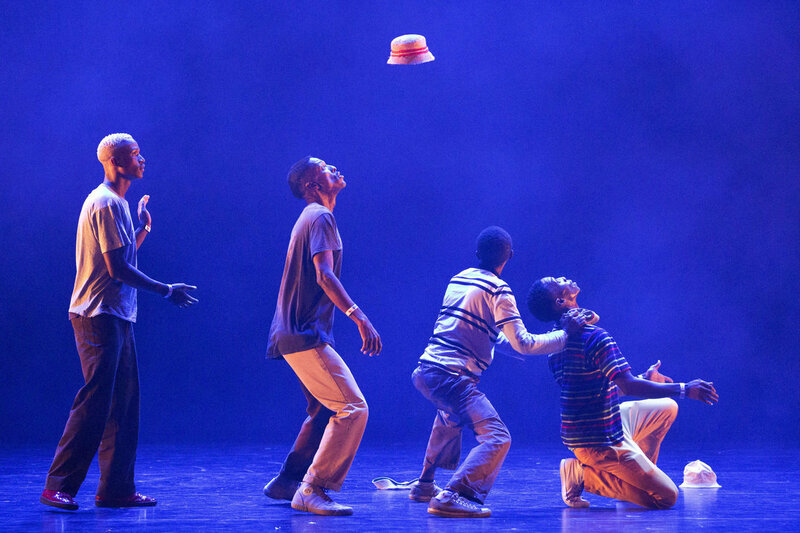 Being based and having the supporting from Sadler's Wells has meant that in it's 13 year history the organisation has really evolved, taking on exciting new avenues in their work. This includes international festival, international touring, professional development, youth projects and educational programme. 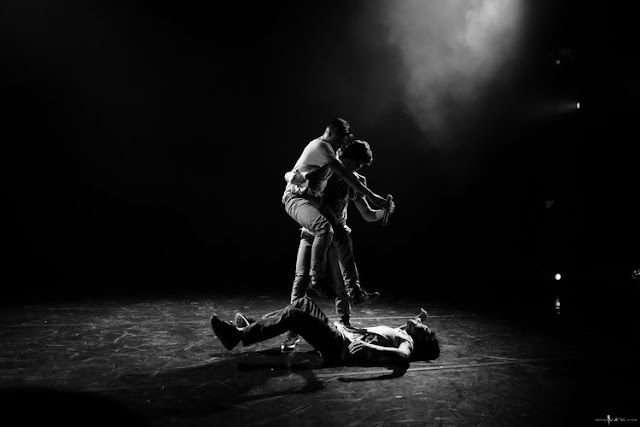 Through this they are able to allow hip hop dance be positioned alongside other art forms as well as becoming a well respected art form in it's own. The talent and artistic flare on offer for in the main house performances was flawless, there was a real mix of the different technique fusions within hip hop. On hand were hosts Jonzi D and Mr Shay to really build up the energy and enthusiasm within the stage, creating a buzz for the oncoming performers. Local dance crew Tozer Dance Studios really started off the evening with a bang showcasing their incredible young talent and massive bags of potential. Choreography from Gareth Woodward, his creative influence brought together the junior and street dance crews from within the dance company. Their piece Bad Boys For Life was performed to a soundtrack of two classic hip hop records from 2001, the crowd was fully behind them in their performance, cheering and clapping along which the music that was well received by the young people on stage. They gave a great performance in front of a home crowd. I also enjoyed watching Wayward Thread a company who combine the style of break and contemporary dance to explore 'the stories that we define ourselves by, and is dedicated to extending the reach of hiphop's cultural voice'. I loved their piece Inherent which challenges a political topic that through dance is understandable and conscious of it's power. It showcases how there is a need who people who are not black to engage with movements like Black Lives Matter, to be a voice amongst all of the silence. In such a political state that the UK is in atm this piece was extremely and poignant in it's delivery. The company will be back at the Curve for the Inside Out Festival with a 50 minute commission in October this year. Lastly for me the first half was packed with lots of talent, but nothing like the last one I'll talk about. Soweto Skeleton Movers are mesmerising in their particular form of pantsula dance, developed by the pioneer of the company Jabulani. Pantsula dance can be influenced by things seen in jazz, breaking, popping, house and bone breaking with a mixture of tap dance. There is also use of comedic contortionism, frenetic footwork and amazing hat tricks that is literally nothing like you've ever seen before. I loved their mix of the different styles along with different dynamics and use of the main stage, I couldn't keep my eyes off them. Breakin' Convention would be a great night out for the aspiring young dancers you know, someone who genuinely shares an interest in the hip hop culture or even if your keen to try something new. The convention is making it's way around the UK until early June, you can head to the Breakin' Convention UK Tour Dates to find out more!